Whether you want to get rid of acne, hyperpigmentation, fine lines or wrinkles, there's almost certainly an acid for your skin concern. Liquid exfoliators are among the most popular acid-based skincare products on the market right now, with glycolic, lactic, azelaic and salicylic acids featuring heavily in these leave-on products. But what if we were to tell you that you might be using them wrong? According to board certified dermatologist and skincare brand founder, Dr Dennis Gross, exfoliation should be a two-step process in order to see the very best results in your skin. 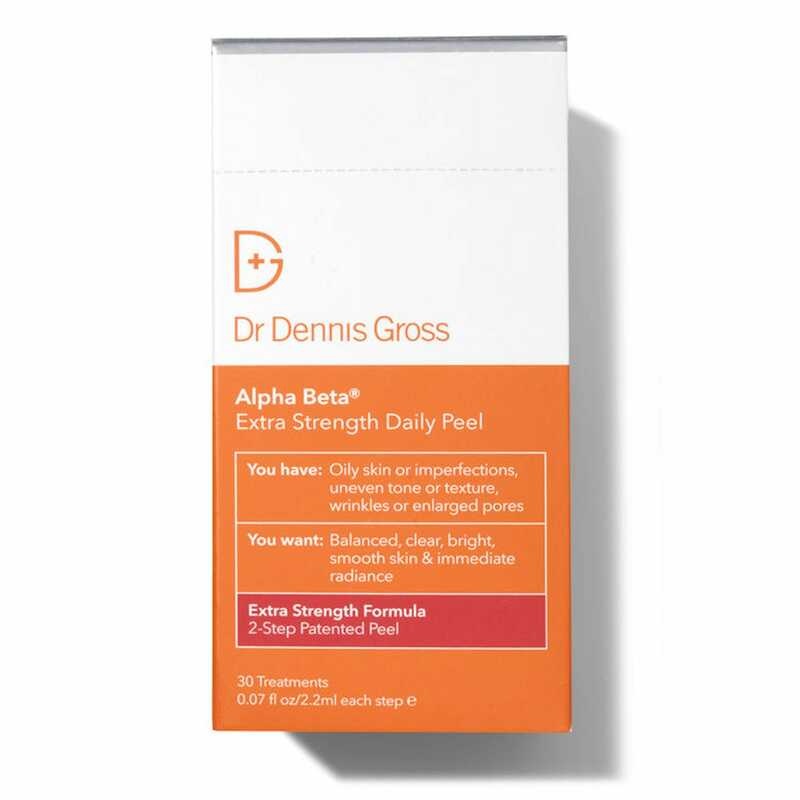 "Let me tell you something – the professional way to exfoliate is with a peel," Dr Gross told R29, before explaining that glycolic acid in particular can be quite a problematic exfoliating ingredient when used entirely on its own. "Glycolic acid is an exfoliator, but it can be very irritating," he continued. "It’s great as an agent in a peel, but not in a leave-on standalone product. For example, when you go to a dermatologist, an aesthetician or clinician, they won’t just put on a glycolic acid product and say goodbye. They use glycolic acid in a multi-step treatment and that’s how it works best. It should be neutralised." In other words, the products and ingredients you follow leave-on acid treatments with make the most difference to your skin. "Exfoliation happens quickly, in about two minutes," continued Dr Gross, "so if you leave something like glycolic acid on without a second step, it can eat away at the skin and become irritating. This is exactly why glycolic acid is the number one most returned product." It makes sense, especially as Dr Gross pinpoints the trend for thinking higher concentrations are better, which is definitely not the case. So what should come after a leave-on acid product? "Follow a peel or leave-on liquid treatment with a moisturiser," explained Dr Gross, who is bringing an at-home clinical grade liquid peel to market later this year. "Always do the peel step (liquid exfoliator) first and then layer." If your skin is acne-prone, R29 recommends following with a non-comedogenic moisturiser, such as La Roche-Posay Effaclar Duo+, £16, which also contains niacinamide for a hydration boost, or CeraVe Facial Moisturising Lotion, £12, packed with skin-repairing ceramides. If your skin is on the drier side, choose a moisturiser with humectants (ingredients which attract moisture) and emollients, as they sit on the skin and keep moisture under lock and key. 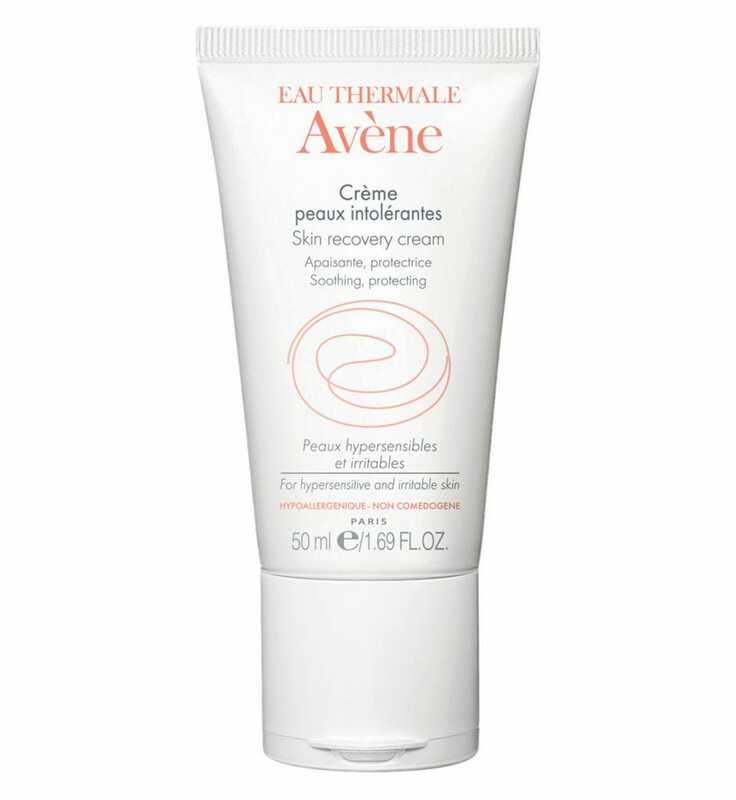 Try Mario Badescu Emollient Cream, £18.50, or Avène Skin Recovery Cream, £16.50. It isn't just dryness, redness and flaking which can occur as a result of incorrectly using glycolic acid, though. "When your skin gets irritated with glycolic acid, this actually creates free radicals in the skin and they are the enemy to a youthful complexion, because they bring down collagen levels," added Dr Gross, "but by doing two steps, you won’t have any downtime." Skin irritation can also present itself as dehydration, says Dr Gross, which you might notice after cleansing and drying your face thanks to a tight, taut feeling. If this is the case, he recommends laying off the acids for a while. "Take a break from the glycolic and hydrate. Your skin will get back to normal itself." Dr Gross suggests hyaluronic acid, glycerin and other humectants to help get skin back on track, and of course, wearing sunscreen during the day, as acids can make skin sensitive to UV. But whatever you do, don't apply moisturiser as the first step. "Acids are simply exfoliators," says Dr Gross, who mentions that any moisturising products applied first could act as a barrier, therefore not delivering the results you want.